Harman Kardon�s iconic design meets superior function in this high-performance, full-featured, portable Bluetooth speaker: the Harman Kardon Go + Play mini . It fills your room with a full spectrum of sound powered by its quad drivers. Thanks to the rechargeable battery, you can enjoy up to 8 hours of playtime and charge your smartphones and tablets via USB. 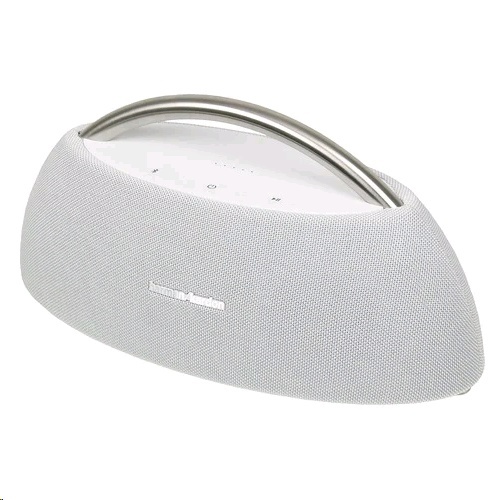 Wirelessly connect two Harman Kardon Wireless Dual Sound enabled speakers together to elevate your music listening experience. 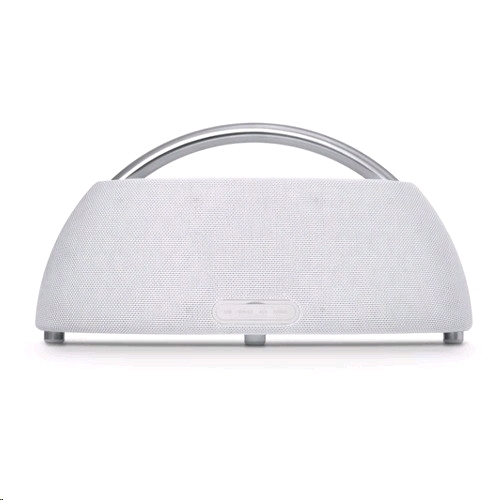 The Go + Play mini is also crafted with premium materials � its stainless steel handle and fabric grill add a stylish touch to your home d�cor or when you are on-the-go.